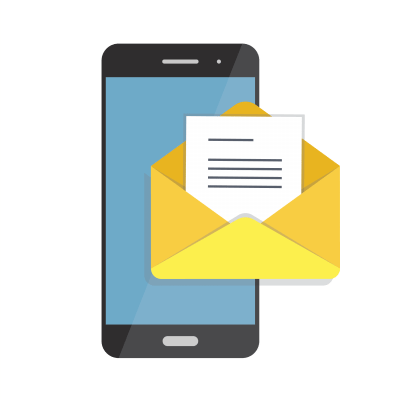 Capitalization And Degrees: When To Capitalize The Name Of Your College Or Graduate Degree - Writer's Relief, Inc. 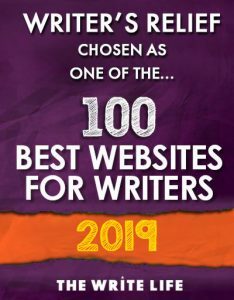 Even the best writers sometimes aren’t sure when to capitalize the name of the degree they received from a college or university, whether they have a master’s, bachelor’s, or doctorate. So the Writer’s Relief proofreaders have simplified the capitalization rules for you. 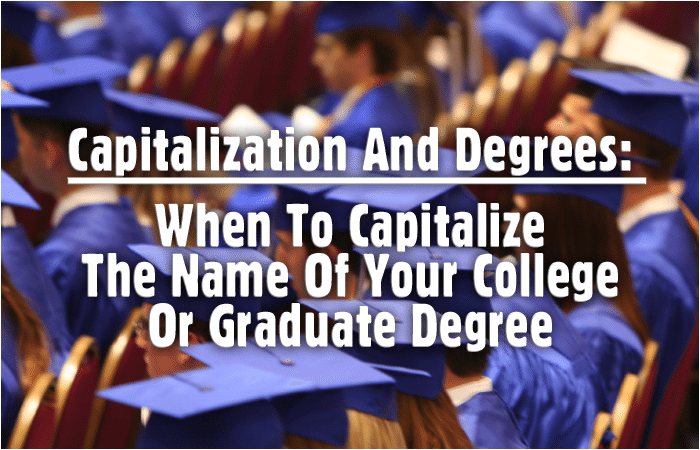 Here’s the rule about how and when to capitalize the name of your degree. For a GENERAL usage, don’t capitalize. Example: He received his bachelor of arts in English. In this case, “bachelor of arts” is lowercased because it’s being used as a general term of classification. “English” is capitalized because it’s a language. Example: She earned her master’s in creative writing. The only times you SHOULD capitalize are when you’re abbreviating or when the name of the degree is part of that person’s official title. I can’t wait to get my MSW! I have a job lined up at the university, so I’ll be working with Jane Parker, Doctor of Philosophy. If you’re confused about when to capitalize the title of your degree from college, just remember: If you’re referring to the degree itself, don’t capitalize the name. If you’re abbreviating or referring to the degree as part of an official title, then capitalize the degree. I am appalled at the supposedly educated people who are either unaware or ignorant of spelling and grammar rules. Maybe I’m just old-fashioned, but the importance of both seems to have been lost in the current world of journalism. What’s amazing to me is the rules were followed better BEFORE technology provided ways to correct with a click. From the local newspaper to the screen bottom clicker on national news programs, mistakes are obvious and often. Maybe standards have been lowered. With a German PhD, I have a problem with myself. In Germany a doctorate is a part of one’s name. So, here I am Dr. Sridhar. In the US I think I should call myself Sridhar Ph.D. Again here the name of the degree is only given if there is a professional reference. In my other function as an author (on ventriloquism, and on a soon to appear biography) I was/ am not sure wheter is any reason to mentin this in my own bigraphy. In this continent it would be considered as being secretive. I do not know if there is any universally accepted convention, let alone the worry about capitalizing! Good to know! Thanks for the tip! There is nothing worse than not listing this info properly on a resume! I interviewed a woman once with a bachelor’s in Jornalism & wrote “insure” instead of “ensure” several times. Made me wonder how well she had actually done in her courses.